CÉ LA VI Restaurant and SkyBar is a sophisticated bar and restaurant where you can grab a cocktail, listen to music or spend time with friends and family over an intimate dinner. a wine cellar, a restaurant, Skybar Nightclub and a poolside lounge, all within a high-class and sophisticated venue. 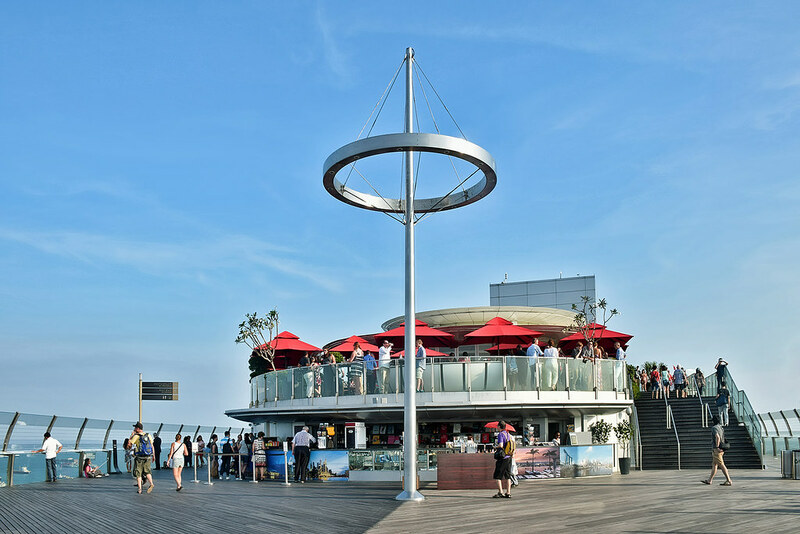 At the top of the restaurant is the Skybar that offers guests a 360-degree view of Singapore. This spectacular bar offers plenty of places to sit and relax as well as room to dance under the stars. It has even been named as one of the top ten places to visit by The New York Times. CÉ LA VI Restaurant and SkyBar staff are very adept at pairing wines and champagnes with each meal for a delicate and balanced taste. An in-house wine cellar holds several kinds of wines from all corners of the world. Guests are invited to sample items from the Japanese Asian cuisine paired with your preferred wine. The CÉ LA VI Restaurant is open for lunch and dinner daily, where you can enjoy indoor dining or an al fresco table. The Dress Code is stylish chic from 6pm onwards in the restaurant and from 10pm at the Club Lounge. No shorts, slippers, singlets and tank tops. 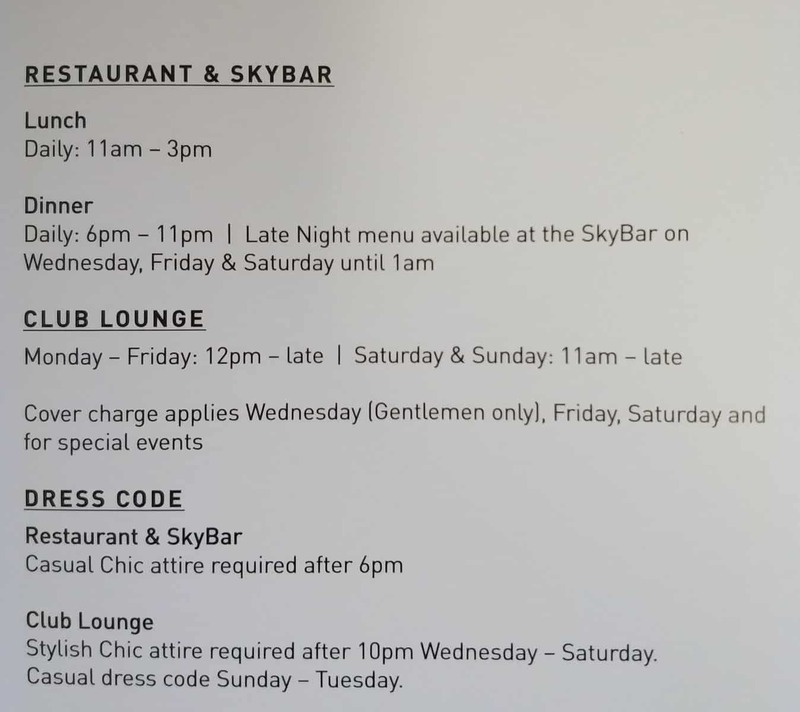 Reservations are required for the restaurant however guests are permitted to walk in for the Skybar, with guests admitted on a first-come, first-served basis. A minimum spend of $80++ per person is required for dinner. 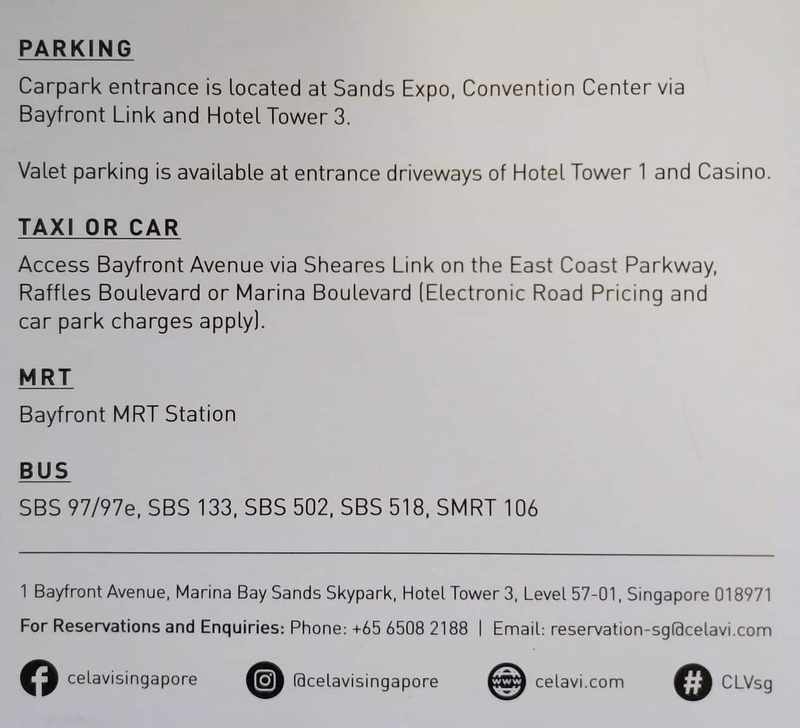 CÉ LA VI RESTAURANT AND SKYBAR – is it NO smoking in dining areas? I looked at their official website, Facebook and also Tripadvisor, and really there is nothing mentioned anywhere about having a designated smoking area. 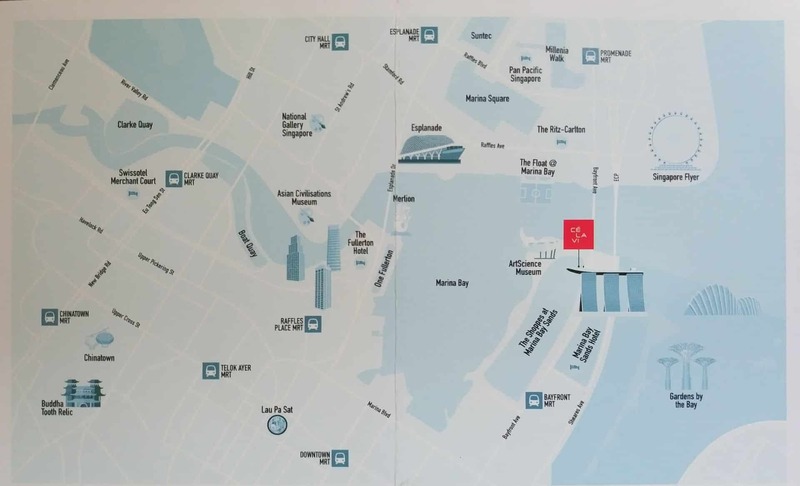 So unless there is a designated smoking area, i very doubt there would be smoking allowed based on the fact smoking seems to banned in many public places at https://www.ecitizen.gov.sg/No-smoking-rules-in-Singapore.html.